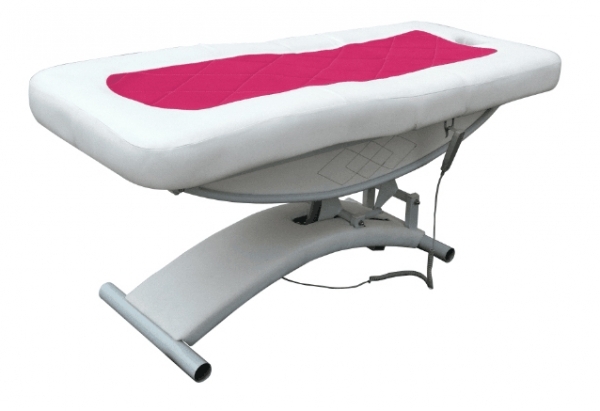 Our electric facial bed has 3 motors. One motor controls the chair height, the other one controls the headrest, which can be raised up to 20° and the third motor controls the leg support. The dimensions are: 760 x 1950 mm with a net weight of 69kg. Shipping costs are charged seperately. For German customers we charge 99€ net before shipping. For international deliveries we will quote based on your address. Please get in touch with us for price inquiries. If item is on stock we proceess the order within 3-4 days. Production time of facial beds are around 8-10 weeks. Reserve yours today and get in touch with our team.